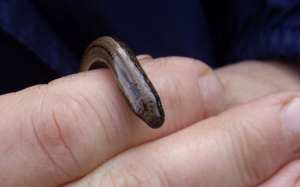 Observation - Slow Worm - UK and Ireland. Description: This was moving fast across the path. This was moving fast across the path.